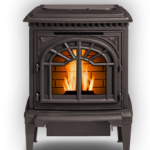 If you’re looking for an energy-efficient and cost-saving way to heat your home, a pellet stove may be the right choice for you. 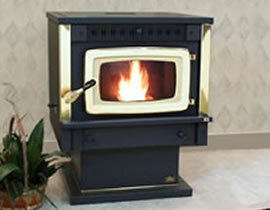 A great place to buy pellet stoves in CT is Creative Masonry & Chimney LLC. We’ll help you select the right model, design, and installation that are perfect for your home. 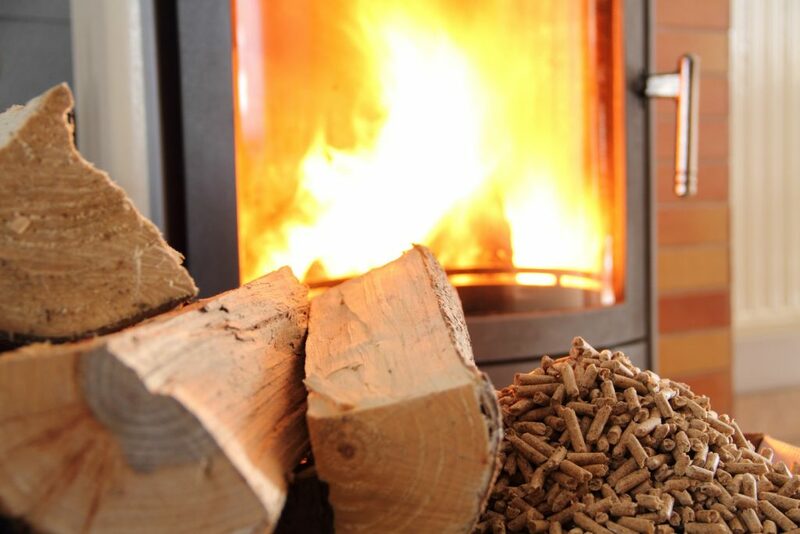 You’ll see many cost-effective benefits to heating your home with pellets. They are considered a green heating source due to using recycled sawdust, and they emit a minimal amount of particles into the air. Our sales team and installers are dedicated to their craft, and we strive to provide you with the best possible experience before, during, and after the sale. 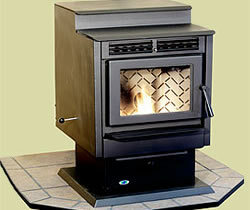 A pellet stove requires electricity in order to work. Wood pellets are placed in the hopper, and an electric ignition will ignite and burn the pellets. Our products have a glass window so you can see the fire. A fan-assisted combustion motor will push the exhaust into the chimney pipe and outside the home. If your home is without a fireplace or chimney, you can buy a pellet stove and vent the system through a small hole in your wall. This gives you more freedom to choose the room in which you want the installation. Once the unit is installed in your home, you will pour pellets into it, which will provide you with more heat than that of an equivalent weight of firewood. 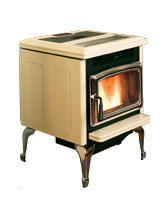 If you’re looking for a stove that will generate heat when you lose electricity, you can also choose to buy a wood stove that can revitalize an inefficient fireplace. 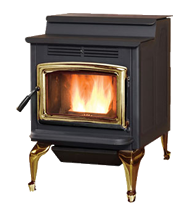 If you’re looking for a high-performing heating unit that lets you burn renewable fuel, select the model of your choice from our inventory of wood pellet stoves for sale. Through Creative Masonry & Chimney LLC, we’ll work with you to help you decide on the system design and style that is right for your home. 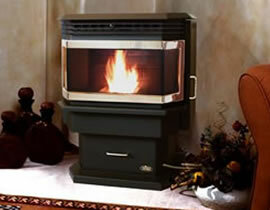 When you buy pellet stoves from us, our installation services will eliminate any room air loss. The quiet system will blend seamlessly into your home, providing durable components that are built to last. 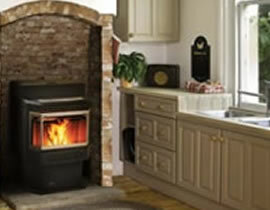 We can even help you with cleaning your pellet stove when needed. For your fireplace, inquire about our fireplace glass doors that include a flange to cover the gap between the door and the insert to keep your doors clean. If you have any questions or concerns regarding our inserts, stoves, and hearth products, don’t hesitate to reach out. We’ll provide you with the best solution for your needs. Timberwolf’s wood and pellet burning stoves and inserts are designed to meet Environmental Protection Agency (EPA) clean burning emission standards. Part of our commitment is to consider the overall impact of Timberwolf products on the environment and to provide our customers with the utmost in comfort and safety both in their homes. Our wood and pellet hearth products provide an economical solution to the rising costs of home heating without sacrificing efficiencies and quality.